Among the many-sided teachings of Hazrat Inayat Khan, the discussion of problems related to our everyday life occupy an important place. Esotericism, spirituality, and religious practice counted very little for him in a person who did not fulfill his duty towards his fellow men and himself. 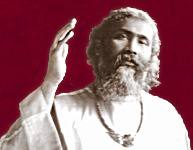 According to Inayat Khan a person's main task and purpose in life is to become human, in the fullest sense of the word. This is why man has come on earth and only after having achieved this will it be possible for him to return with full consciousness to the source whence he had come. In this third volume of The Sufi Message of Hazrat Inayat Khan a considerable part of the mystic's lectures and lessons on what might be called 'social' subjects have been collected. Thus one will find Education, a series of lectures given in the years 1925 and 1926, wherein the upbringing of the child is analyzed from its infancy onwards. At the end of this book, which was first published in 1934, two very interesting earlier papers have been inserted, The Education of Children and The Training of Youth. These have never before been published in English; only a French translation was published in 1922. While Education follows the development of the child and the care it should receive at different ages from its guardians in great detail, the two latter papers give a broader outline of the fundamental spiritual principals which should govern the educator. Rasa Shastra, the science of life's creative forces, contains a series of lessons Inayat Khan gave to his pupils on sexual relationship. It was first published in 1938. Character-Building and the Art of Personality and Moral Culture, both consisting of lessons given at different times during the years following the First World War, were published in 1931 and 1937.